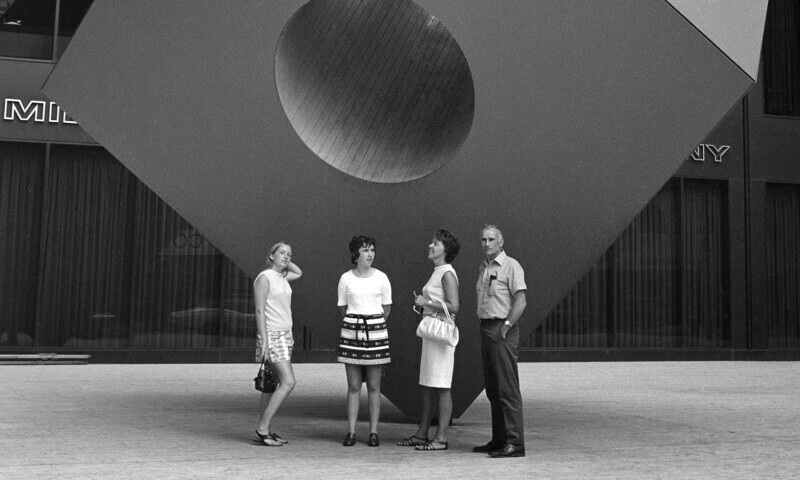 Until the 1960s, most public art in New York City was limited to war memorials, civic-minded murals, or relief sculpture embodying universal values like “Fraternity” or “Wisdom.” But the late 1960s brought a new era that embraced the individual artist’s voice and vision in the public realm. In the years since, hundreds of innovative art works, both permanent and temporary, have been installed in the public spaces of New York, making this the most robust and vibrant environment for public art in the world. Presented to mark the 40th anniversary of the pioneering Public Art Fund, Art in the Open highlights works that have transformed both the public spaces of the city as well as public expectation of the role and potential of art that exists outside of the traditional confines of museums and galleries. The exhibition features renderings, models, photographs, and video footage tracing the creation of public artworks by such artists as Red Grooms, Christo and Jeanne-Claude, and Kara Walker.